Spring is just around the corner and now is a great time to plan your spring cleaning weekend or weekend if your house is really messy. We just heard a collective groan as if nobody is looking forward to spring cleaning. 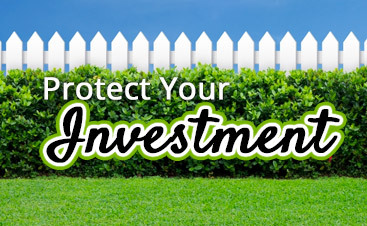 Oh, it’s not the spring cleaning that bothers you; it is the fact that you also have lots of lawn issues to deal with this spring as well and you don’t have time to deal with your home and your yard. This is a pretty common situation; there are many things that need to be accomplished in the spring and very little time to get it all done. 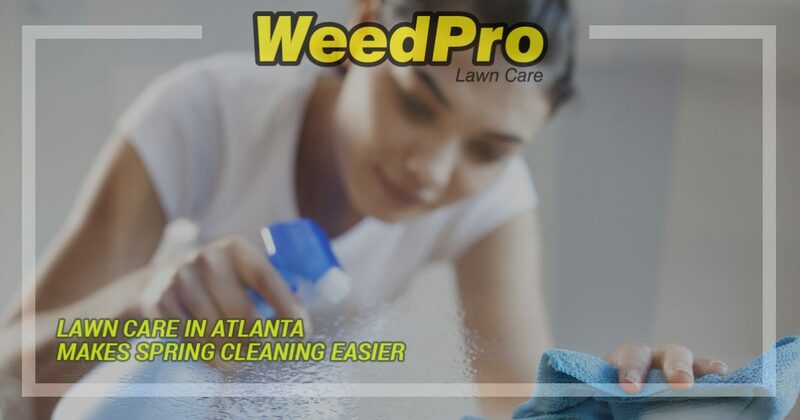 So we suggest you make it a lot easier on yourself by calling WeedPro, your lawn care service in Atlanta, and letting them deal with your lawn care while you dig in and get the home clean. You have spent the winter holed up n your home. Since November, you have spent most evenings sprawled on the couch eating popcorn and watching holiday shows and binge-watching television shows on Netflix. There were a few feeble attempts at cleaning your home, but most of what was cleaned was just stuff on the surface. We have a sneaky suspicion that if you pulled the couch away from the wall, there would be enough popcorn and other dropped food under there for a meal. You need a good spring cleaning. We have some spring cleaning tips that will make this massive job a lot easier. make a sketch of the rooms in your home and sort out the areas that will need the most work. It really doesn’t matter where you start, as long as you focus on one room at a time. Keep focused on one room and what needs to be done to finish the job. Only when you have finished a room should you move on to another, no jumping back and forth between rooms. A disorganized home is a home that leads to higher levels of stress. Look, there is a lot that needs to be done to get your home clean, but start things off by simply getting rid of the clutter. Vacuum, dusting and scrubbing the floors comes so much easier if the piles of unfolded laundry, stacks of dishes and avalanche of shoes in the closet are cleaned up. It is best to start at the top and force all of the dirt, dust a debris down to the ground. This way, you don’t have to worry about re-cleaning or re-dusting space. Attach a long hose to your vacuum and get all of the dust and cobwebs from your ceiling. Run your finger across the top of one of your ceiling fan blades. It will prove to be rather disgusting. The best way to clean ceiling fans without making another huge mess is by placing a garbage bag over each blade and then wiping it down. This way, any dust and dirt that falls is captured in the garbage bag. You pay an awful lot of attention to the floors, and countertops, but know that your walls need love as well. Typically, people completely forget about cleaning their walls. This is a shame because all they need is a quick wipe with a damp cloth and they will look wonderful. Your baseboards take a beating on a daily basis, yet we only think about cleaning them once a year. It would be easier to maintain them if they were cleaned once a month, but unfortunately, this is rarely the case. Scuffs from shoes are one of the biggest culprits that leave baseboards dirty; plus, they are hard to remove. The Magic Erasers you can get at the store works wonders on baseboards. You are not going to do a good job spring cleaning your home unless you take your time. 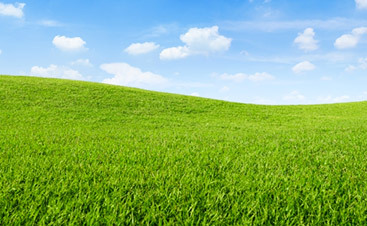 Look, it’s not like you have to worry about mowing the grass, if you hire us to take care of your lawn that is. 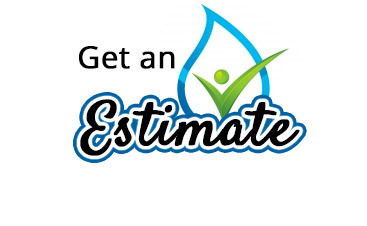 Take your time and do a good job and your house will look great. 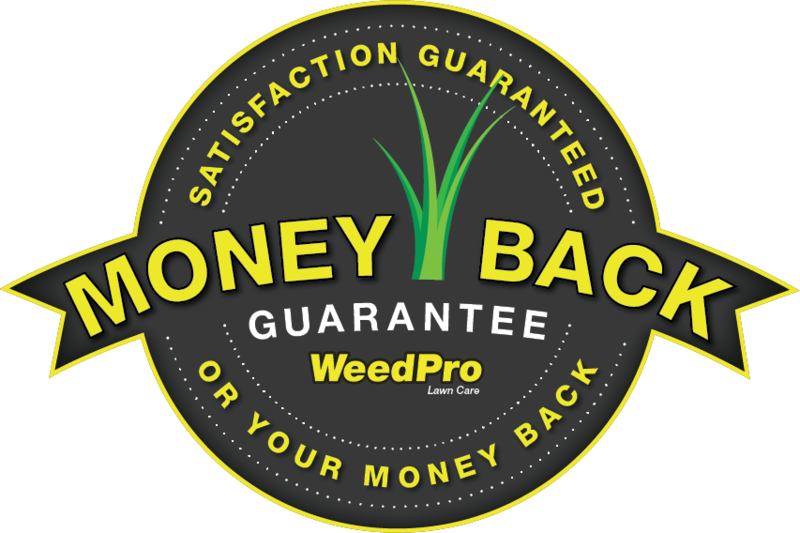 Contact WeedPro if you want to spend more time doing what is important to you and less time dealing with yard work.